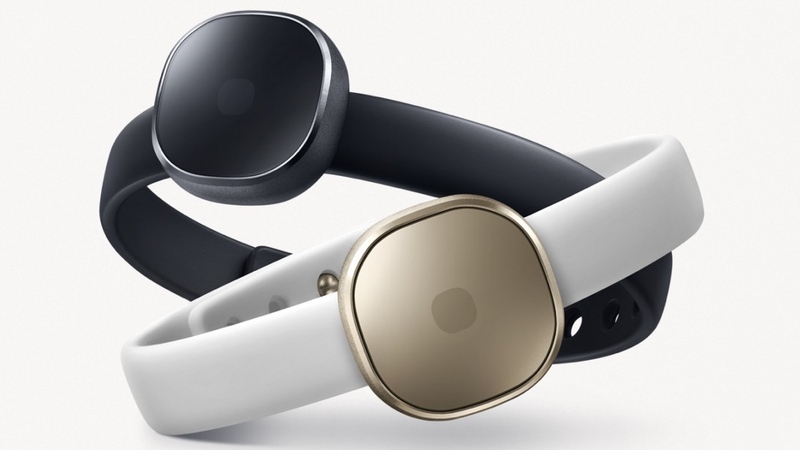 Samsung has announced that its Charm fitness tracker is set to launch soon in select markets. We first saw the fashion friendly wearable back in February at MWC showing off its square charm body and slim strap. Available in gold, black and rose quartz, the square Charm will count steps and uses LED notification lights to alert you of incoming calls, texts and social media updates. It will of course work with Samsung's S Health app where you can view your activity tracking progress including how much distance you've covered and how many calories you've burned. There's also a dedicated Charm app to customise the notification support. Unsurprisingly, it looks like it's only going to be compatible with Samsung smartphones including the Galaxy S7 and S7 Edge. In terms of battery life, there's a 17mAh battery which can apparently last up to 14 days on a single charge. There's also a built-in storage monitor to record data when you're not near your phone to sync it. There's no news on pricing or a precise launch date but we do know that it will be hitting Korea, Italy, France and Russia first. We had a pretty good idea that the Charm would be surfacing soon after popping up on the official Samsung website alongside the Samsung Gear Fit 2 and the Gear IconX wireless earbuds recently.